St. Louis Heart and Vascular (Granite City) - Book Appointment Online! 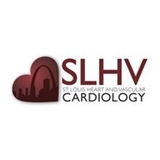 St. Louis Heart and Vascular, P.C. offers state-of-the-art cardiology care through our nationally renowned physicians and professional staff at multiple office locations throughout the St. Louis area. Additional information is available at our website www.slhv.com. While his medical credentials are excellent and he was very personable, this whole medical process was also very confusing. Following my appointment, I was originally not set up with a patient portal account, until I contacted them about it. Setting up the prescriptions with their service was difficult and I preferred CVS so I switched it there. While I was contacted for some test results by phone, others I still months later was not contacted about, aside from being able to see the data in the online portal with no medical comments. My name is misspelled there as well and the medical insurance is mis-entered which caused issues with LabCorp (which I reserve the possibility of my own mistake on SLHV’s tablet check in system but that would still contradict my insurance card and my Zocdoc appointment). Anyways, that’s a summary of a lot of my process, take it as you will.